Woah, what?! 9 years old!? Are you serious?! Man, who would have thought this would have lasted so long! So how are things with you? Now that I'm in the habit of listening to Bill Burr's Monday Morning Podcast, it's given me a new motivation to just check into my blog every 10 days (or now and then since I'm late again ahahha). 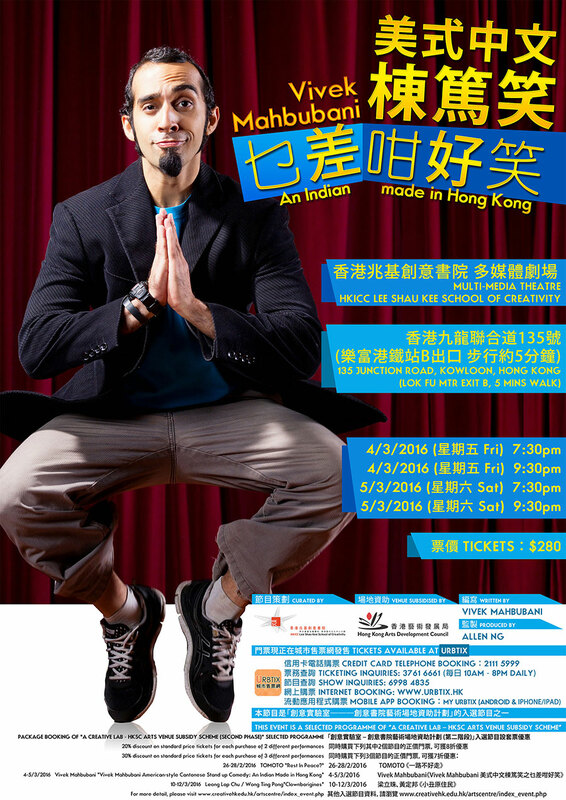 So this last weekend were my Cantonese one-man shows...which were awesome, 4 shows back to back over 2 days. Different crowds, size, style, characteristic, and pretty much everything was different for every show! And recently a video interview I did on Facebook has started going viral because people liked and agree with what I said... can't seem to embed it here, so here's the link. Nice stuff as a lot of people agree with me that Hong Kong is a mindset/mentality rather than a race. I really have always felt that about this place, you're either a HongKonger or you're not. It's like that song Empire State of Mind. On a new note, I've been also focusing on balancing my fitness where I don't just focus on one thing like speed, but also strength. I've come to realize every sort of sport/exercise has its use in the right situation. Also, with the type of training I've been doing, I'm definitely an explosive kind of guy. The other day I had to run to the gym to catch a class I signed up for last minute and basically exploded out of the train and to the gym. I was kinda shocked at my ability to make sudden turns and zoom pass people (no not parkour style), but I did get tired quickly, like by the time I was halfway there, I had to slow down and catch my breath! Also, I've been attending open mic nights a lot more often and have been working on a tonne of new material which I got to use happily at my recent Cantonese one man shows! Wahoo! Other than that, things have been same ol' same ol'. I'm just trying my best to stay balanced in both physical and mental conditions. I say this with a slight headache after I indulged in a very, crazy, heavy double-patty burger today (Oh I treat myself on tuesdays where I take half the day off....). To make this even crazier, this was after I took my first ever yoga class....so an hour ago I was trying to go into my soul, connecting with the world and my breath, and an hour later I'm slapping down greasy burger buns and hot sauce..... yep, sounds like a proper Tuesday to me. And lastly, I've found a new passion for Chicken breast and satay sauce. I don't know what it is, but I literally go bonkers when I get to bake chicken breast and enjoy it with satay sauce for lunch and dinner. I'm so looking forward to my time in Melbourne because trust me, there will be a lot of fancy meat eating where everything is grass fed, organic, bla bla bla....it's the only time that price tag is justifiable. Anyway, so here's to another fantastic 6 months ahead and a wonderful next 10 days before I pop in to check in on ya! Otherwise, see you at the front row, or the gym, or the plane, or wherever we see each other. Someone needs to do rejigged cover of that Hong Kong song by 潘迪華. New York is an awesome place, but one thing I didn't buy was the story that Statue of Liberty represents freedom for all New Yorkers after visiting the immigration museum, lots of people were turned away by Ellis Island doctors and people just ended up slaving in construction of the now filthy metro ahahah. Actually, right after your show last year in Melbourne I visited the Australian Chinese museum, growing up with an identity crisis I "found" myself in Melbourne, heaps of migration stories and racism stories in the museum - which meant that I found myself as not completely White Australian, nor completely Chinese - somewhere in between. Anyways, just finished booking tickets to Melbourne, gonna try out some new jokes on the ABCs this time?! As for my Cantonese show... I might have a few new things, because technically it's supposed to be the same show as last year...I need to get promoting already!! Ahhhh! Haha yes, work hard on promotion to boost sales and then you can eat more! I left another great cafe out: Cumulus Inc.
Make sure you get to Hardware Societe early so you don't have to wait long (something like half an hour can be the norm), there's always a cue. Last time got the earliest flight to Melbourne and at 8am on Saturday there was still a huge queue.